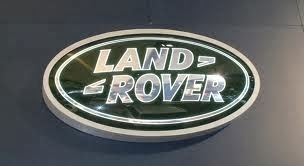 1989 Land Rover Defender 90 2.5 TDI Countryman! This truck is in good condition and full working order. It starts first turn of the key and has MOT until December! It is a 2 owner car from new and has been well looked after. Recent new Galvanised chassis at a cost of £2500! It had a new engine a few years ago and I believe the clock was reset as it only shows 23k but I cannot confirm this. Starts and runs like a new truck so nothing to worry about with the engine and gearbox! Recent new Hankook Dynapro tyres, Jack Up kit. Suspension was recently done with all new Polyurethane bushes. Countryman model so has 4 rear fold away seats. Clean car, few bubbles of rust on paintwork in places but nothing to worry about! Small amount of rust on bottom of doors inside, cannot be seen on outside and not an MOT failure.